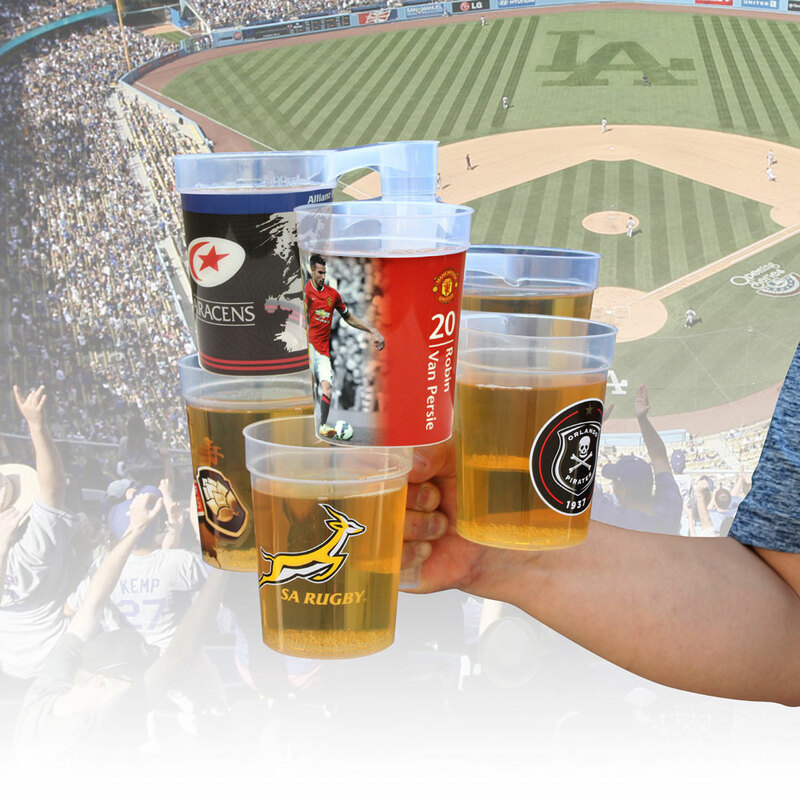 Fetching drinks for your group at ball games has never been easier than with this new Stack Cup. 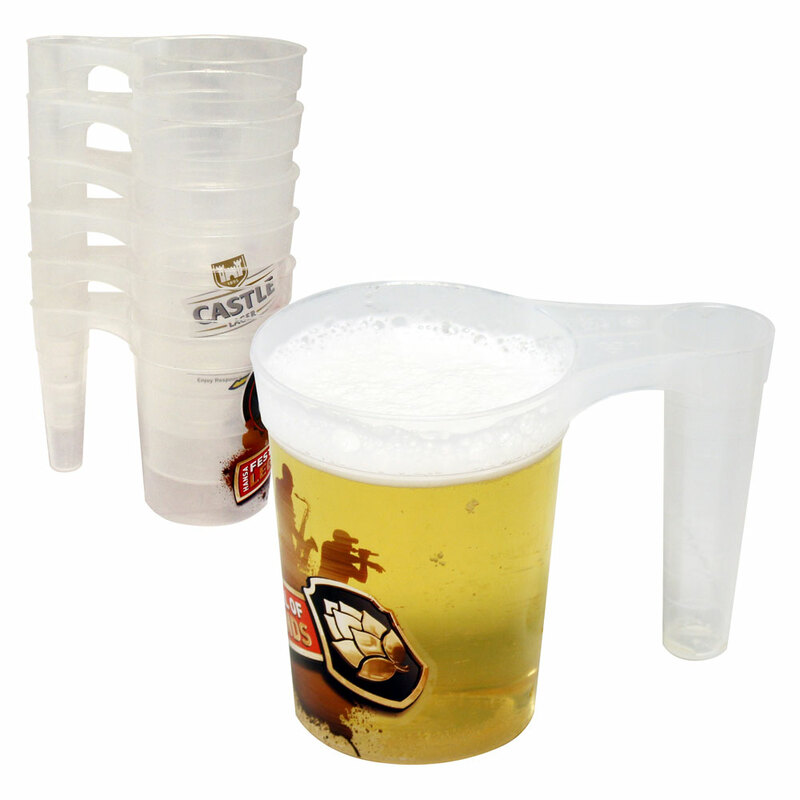 The patented & exclusive Stack Cup is ingeniously designed and is perfect solution for carrying multiple drinks in one go. The unique handle allows you to carry as many cups as you need in one hand and is stackable for great savings on shipping! 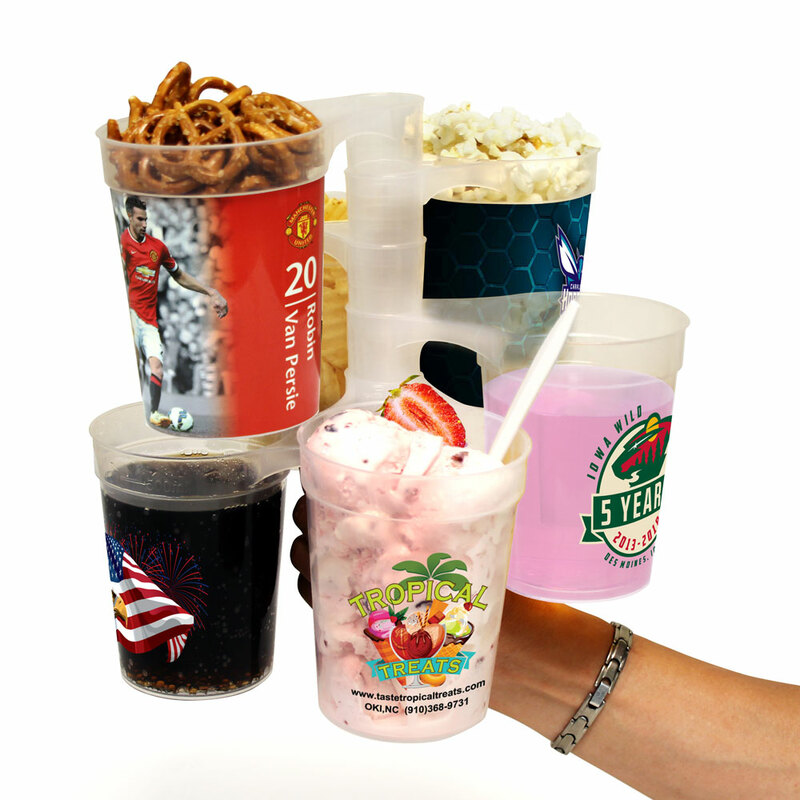 The stackable cups are great for groups and has an open top for easy re-filling. 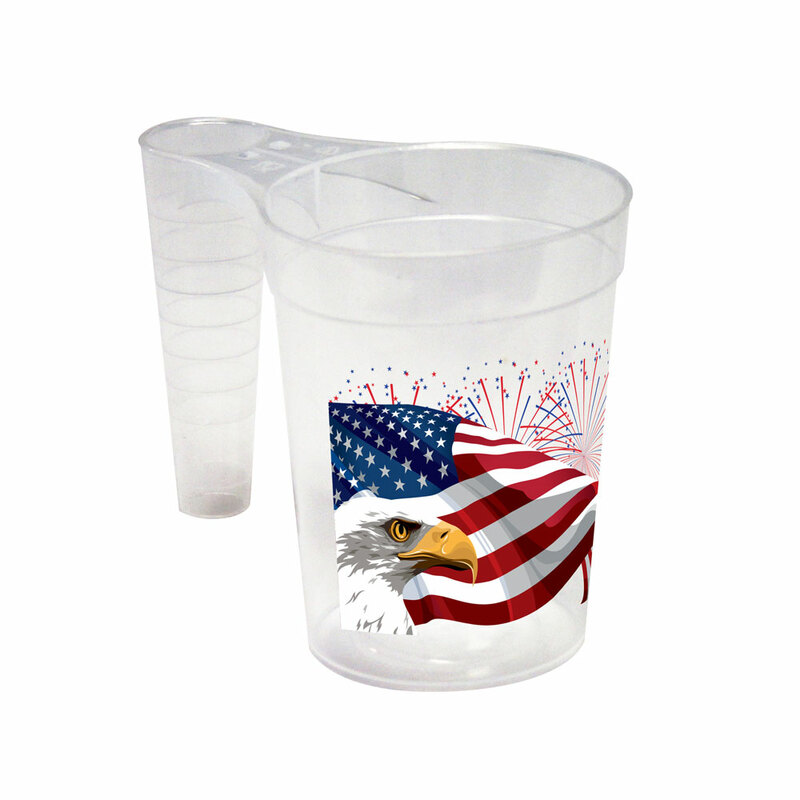 It is a great item for stadium events, concerts, parties, or tailgates! Made of food grade Polypropylene and BPA Free. Set up: $80.00 (V) for full color. Lead time: 7-10 days after approval. IML (In Mould Labeling) is only available for custom orders and is done at the factory. 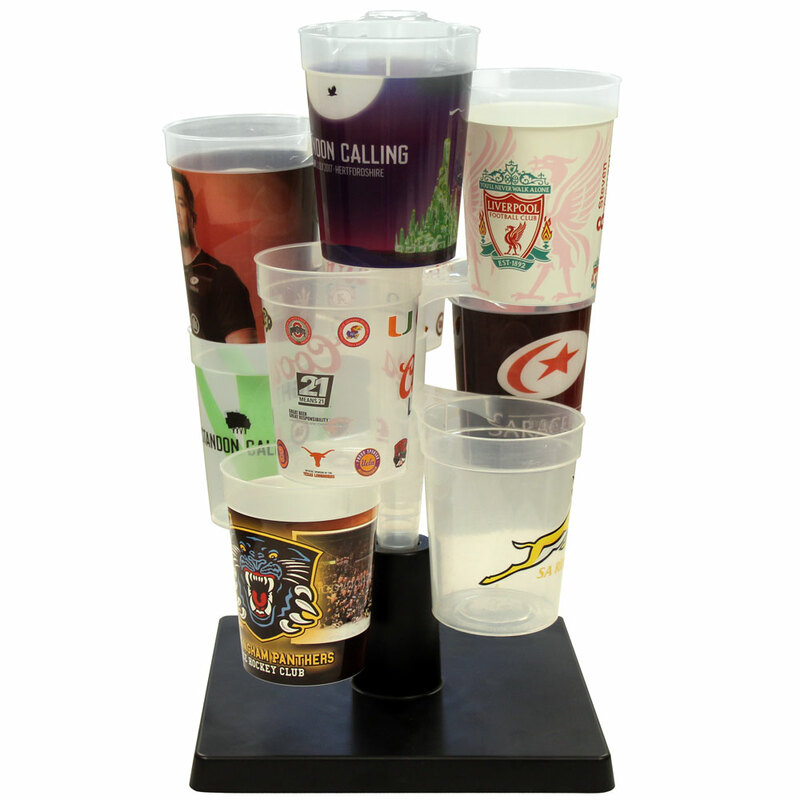 With IML the artwork will be 4-color process or sublimation wrapped around the whole cup without any gaps. Price includes: 4-color process or full color sublimation, the cost is the same for single or multiple colors. Set up: $250.00 (V) per artwork. Note: There will be no product proof with IML printing. Proofing will be through flat proof image via email. Lead time: Approximately 75 days by vessel depending on quantity. Air freight is about 40 days, call for quotation. IML minimum quantity is 5,000pcs.